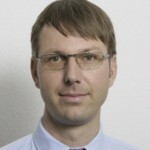 ETH Zurich’s related activities will be led by Dirk Helbing. During his scientific career, Helbing has worked in natural, engineering and social science departments and is currently a Full Professor in Sociology, in particular of Modeling and Simulation. After receiving his PhD in Theoretical Physics, he became Managing Director of the Institute for Transport & Traffic at Dresden University of Technology. This multi-disciplinary background and reputation of his work (with publications in Nature, Science and PNAS), allows him to oversee and lead scientific endeavours of wide scope. Helbing was elected as member of the German Academy of Sciences ‘Leopoldina’, the European Academy of Sociology, and the Complexity Council of the World Economic Forum. He is cofounder and chair of the Physics of Socio-Economic Systems Division of the German Physical Society, founder of the Competence Centre ‘Coping with Crises in Complex Socio-Economic Systems’, and co- founder of ETH Zurich’s Risk Centre. His research ranges from fundamental science to practical applications. He has advised the International Risk Governance Council, and edited a book on Managing Complexity. He scientifically guided the reorganisation of the Muslim pilgrimage to Mecca in 2007, accompanying the construction of the New Jamarat Bridge, a 1 billion dollar investment. Helbing’s team also developed a novel traffic assistance system to mitigate traffic congestion and patented a paradigm-changing self-control of urban traffic lights, which has received the Golden Idea Award of Idee Suisse.